The perfect religion is the Vedic religion. The Vedas have two parts, mandatory and optional. The mandatory injunctions are eternally binding on us. They constitute the Hindu religion. The optional ones are not so. These have been changing and been changed by the Rishis to suit the times. The Brahmins at one time ate beef and married Sudras. [A] calf was killed to please a guest. Sudras cooked for Brahmins. The food cooked by a male Brahmin was regarded as polluted food. But we have changed our habits to suit the present yug[a]. Although our caste rules have so far changed from the time of Manu, still if he should come to us now, he would still call us Hindus. Caste is a social organization and not a religious one. It was the outcome of the natural evolution of our society. It was found necessary and convenient at one time. It has served its purpose. But for it, we would long ago have become Mahomedans [sic]. It is useless now. It may be dispensed with. Hindu religion no longer requires the prop of the caste system. A Brahmin may interdine with anybody, even a Pariah. He won't thereby lose his spirituality. A degree of spirituality that is destroyed by the touch of a Pariah, is a very poor quantity. It is almost at the zero point. Spirituality of a Brahmin must overflow, blaze and burn [so] as to warm into spiritual life not one Pariah but thousands of Pariahs who may touch him. The old Rishis observed no distinctions or restrictions as regards food. A man who feels that his own spirituality is so flimsy that the sight of a low caste man annihilates it need not approach a Pariah and must keep his precious little to himself. The Hindu Ideal of life is "Nivarti" [Nivritti]. 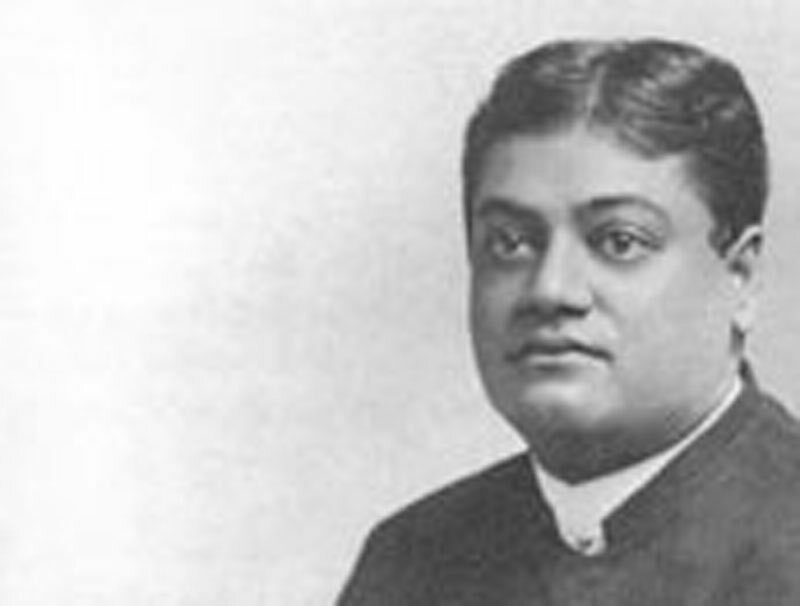 (Nivritti and Parvritti are key concepts in Hindu philosophy, and Swami Vivekananda has frequently interpreted and elaborated on them in their traditional connotations. But the interpretation of the terms here ascribed to him by the Indian Social Reformer's reporter is not in accord with what the Swami has said elsewhere.) Nivarti means subjugation and conquest of evil passions, of Tamasa nature of lust, revenge and avarice. It does not mean conquest of all desire. It means only the annihilation of gross desires. Every man is bound to love and sympathize with his fellow-creatures. [A] Sanyasi is one who has vanquished all his selfish passions and vowed to devote his life for the good of others. He loves all. "Pravirti" [Pravritti] means love of God and all his creatures. Sanyasis ought to be fed. They are not like the Christian bishops and Archbishops who must be paid to do their work with thousands of pounds per annum; all whose earnings are spent upon their own luxury — their wife and children. [The] Sanyasi wants only a morsel of food, and then he places all his knowledge and services at the disposal of the public. He is a wandering missionary. Individuals and society have to work themselves up from "brute through man, into divine". Even the lowest of the Hindus, the Pariah, has less of the brute in him than a Briton in a similar social status. This is the result of an old and excellent religious civilization. This evolution to a higher spiritual state is possible only through discipline and education. Every institution, caste, early marriage etc., that stands in the way of education, ought at once to be knocked on the head. Even "Shradh" may be given up, if the performance of it involves waste of time which might be better used for self-education. But "Shradh" should not be given up. The meaning of the Mantras is very edifying. The Mantras depict the suffering and care undergone by our parents on our behalf. The performance of it is an honour paid to the memory of the sum total of the spirit of our forefathers, whose virtues we inherit. Shradh has nothing to do with one's salvation. Yet no Hindu who loves his religion, his country and his past great men should give up Shradh. The outward formalities and the feeding of the Brahmins are not essential. We have no Brahmins in these days worthy of being fed on Shradh days. The Brahmins fed ought not to be professional eaters, but Brahmins who feed disciples gratis, and teach them true Vedic doctrines. In these days, Shradh may be performed mentally. The jealous guardianship of our women shows that we Hindus have declined in our national virtues, that we reverted to the "brutal state". Every man must so discipline his mind as to bring himself to regard all women as his sisters or mothers. Women must have freedom to read, to receive as good an education as men. Individual development is impossible with ignorance and slavery. Through the slavery of a thousand years, Hindus have at present degenerated. They have forgotten their own self-respect. Every English boy is taught to feel his importance, he thinks that he is a member of a great race, the conquerors of the Earth. The Hindu feels from his boyhood just the reverse that he is born to slave. We can't become a great nation unless we love our religion and try to respect ourselves, and respect our country men and society. The Hindus of modern times are generally hypocrites. They must rise, and combine the faith in the true Vedic religion, with a knowledge of the political and scientific truths of the Europeans. The evils of caste seem to be more prevalent in the South than in Bengal. In Bengal a Brahmin uses the water touched by the Sudras, but here the Sudra is kept at a great distance by the Brahmin. There are no Brahmins in [the] Kali Yug[a]. The Pariahs, our fellow beings, ought to be educated by the higher castes, must [ . . . ] truths of Hindu religion and be [ . . . ] Brahmins. The first duty of a Brahmin is to love all. There must first be an amalgamation of the Brahmins, then of all the Dwijas, and then of the Dwijas and Sudras.